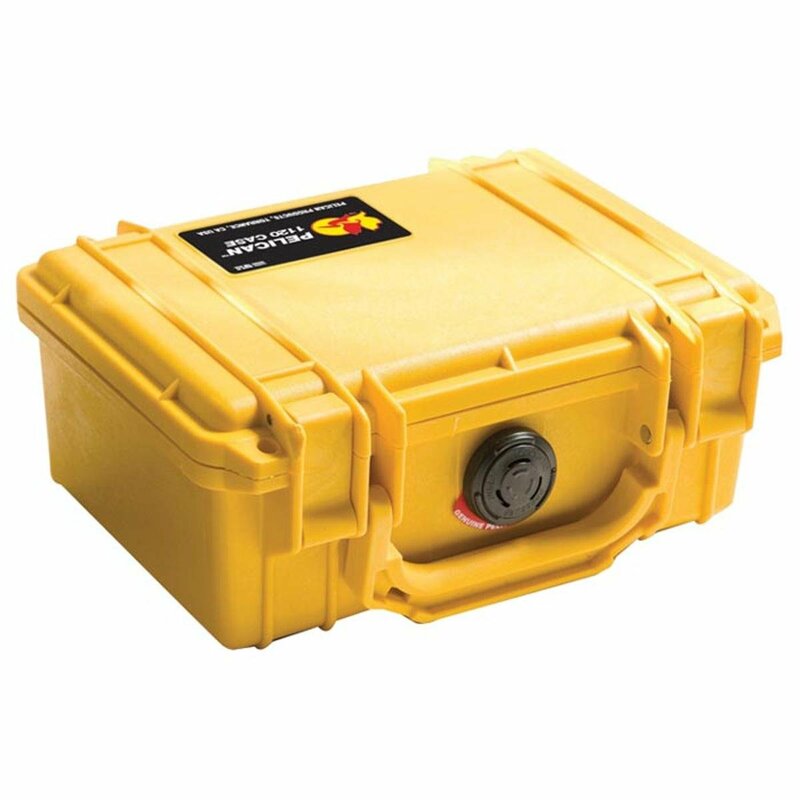 The Pelican Case 1120 is the world’s toughest watertight protective case! Pelican cases feature an exclusive .25 in. neoprene o-ring to guarantee a perfect seal. Neither dust nor water can penetrate this barrier. All Pelican cases are absolutely airtight, and the exclusive built-in o-ring sealed pressure purge valve allows for quick equalization after changes in altitude or temperature. Pick ‘n Pluck foam included unless specified.Note: All four sizes of Pelican Cases are depicted, however they are sold individually.